Alyssa Valdez Will Go To Taiwan to Play Volleyball? How True? Read These Tweets! 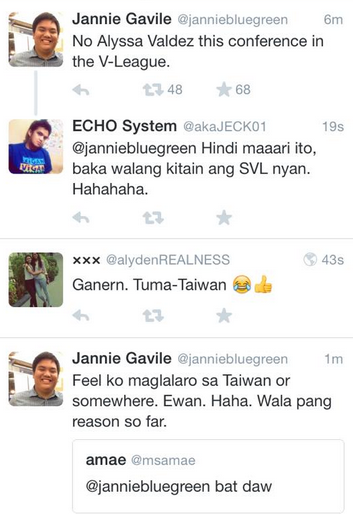 Tweet Scoop: Is Alyssa Valdez heading to Taiwan to play volleyball? Check out these tweets.